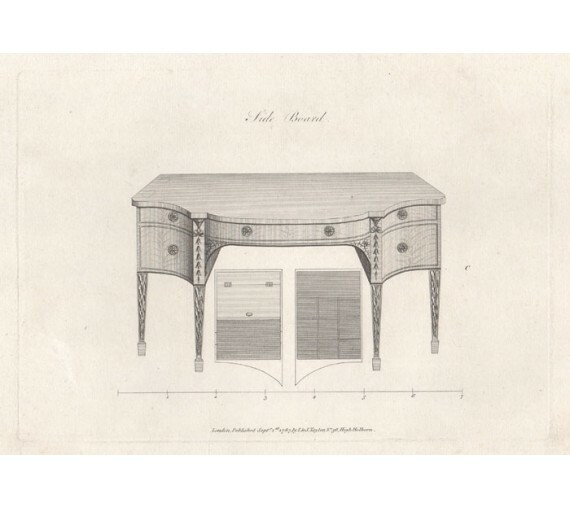 From George Hepplewhite's 'Cabinet-Maker and Upholsterer's Guide', published by I. and J. Taylor in 1788. 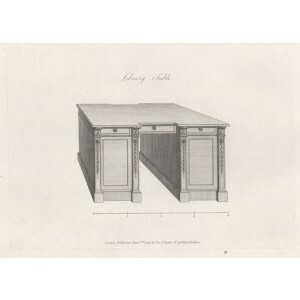 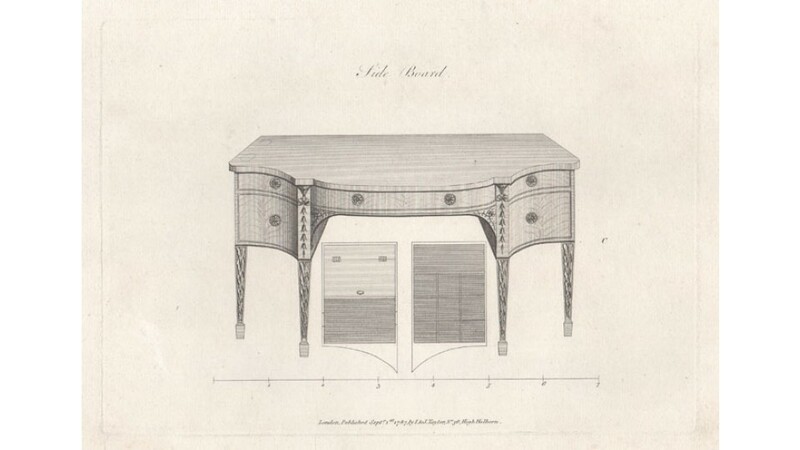 These engravings are the only evidence of Hepplewhite's style as no known furniture survives. The designs were meant to be a guide for cabinet-makers throughout England where the book was republished in 1789 and 1794.